Thank you for having me back on Just Contemporary Romance! It’s always so much fun to hang out with you guys. 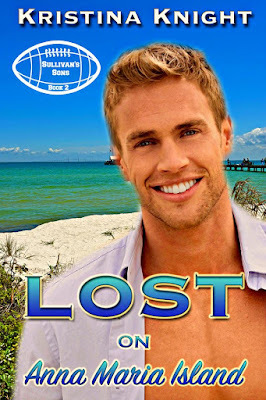 Today, I wanted to share some behind-the scenes info about my new release, Lost on Anna Maria Island, specifically, the playlist! As many of you know, as I’m writing music is usually playing. While I’m drafting the music is more white noise and usually consists of light classical or jazz, but once the draft is done and I’m polishing a manuscript, songs will pop into my head that embody the feel of a scene or part of the characters’ journeys. Those songs help me get back into the book if I’ve been away a little longer than I should, or if I’m trying to work out a plot point. I’ll load the playlist onto my phone and go for a walk or clean the house (you know things are going badly when housework comes into play!) or just a long drive. While I’m doing those other things, my plot or character problems seem to work themselves out in the background, and when I’m back at the keyboard, it’s time to write. 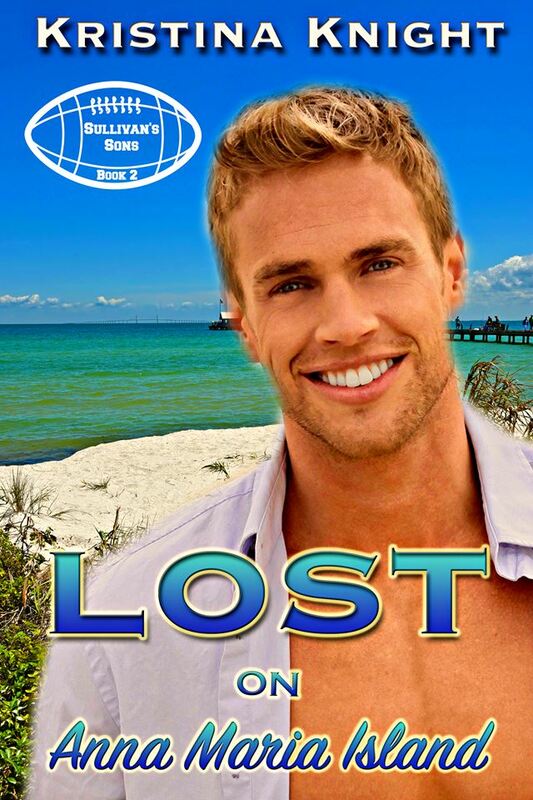 Lost on Anna Maria Island was a book that flowed from beginning to end…well, until I realized that I needed to rearrange a few scenes! The book is part of a continuity, with authors Elley Arden and Katie Kenyhercz, so there is a line of plot that goes all the way through the different books, which was really fun to write and play around with – so some seriously emo music came into play. It’s also set on a real-world island just sound of Tampa, Florida in the Gulf of Mexico – so beach songs hit this playlist hard. Lets get into the line up! No playlist that involves a beach would be complete without some Kenny Chesney, and this playlist had a couple of his songs. No Shoes, No Shirt, No Problems and When the Sun Goes Down got a lot of play! And I couldn’t have beachy music without a little Zac Brown Band (Toes), some Jimmy Buffett (Margaritaville), or Brad Paisley (Water). Maren Morris’ 80s Mercedes made an appearance, too. But Lost on Anna Maria Island isn’t all fun and games. So Chris Lane’s Let Me Love You made an appearance, along with I Could Use a Love Song from Maren Morris, and Keith Urban’s Tonight I Wanna Cry. And then, there’s the love. That’s where Lanco’s Greatest Love Story came in, along with Brett Eldredge’s The Long Way, Thomas Rhett’s Unforgettable, and Old Dominion’s Written in the Sand. Florida Warriors star defensive end, Colby Sullivan, is the best in the business, but since his parents dropped the news that he not only had a biological sister but a biological twin sister, he’s been on his heels. He feels like he’s in the middle of a cover defense with no one backing him on the strong side. Colby knows, as the eldest, it is his job to keep the family going, but he can’t figure out what all this means to him with the daily interruptions from either his well-meaning parents or his rallying brothers. A flirtation with the girl next door is the perfect distraction, but all too soon she’s way past his defenses and heading for a touchdown that his heart just isn’t ready for. Between her baby sister’s wedding and her job rehabbing Colby’s image, Madalyn Hunter is holding on by a thread. Mad understands football, cover defenses, and option offenses, but dealing with sneaky paparazzi, her sister’s obsession with the perfect wedding, and Colby’s not-friend-like kisses has her ready to throw a Hail Mary. The more time she spends with Colby, the harder it is to resist the gorgeous man who has always been her best friend. It’s fourth and goal with love on the line, but can Madalyn teach this star defender that the best way to protect his heart is to give it to her? “I’m not here just because Henry thinks I need to be associated with football’s Queen of Nice. I’m here because there is something going on between the two of us that I can’t ignore any more.” He paused, and uncertainty floated into his eyes. Mad swallowed. “Mad, I don’t want to ignore it.” His voice took on a husky edge that made the hairs on the back of Mad’s neck stand up. The butterflies stilled in her belly, and for a moment, everything else faded, too. It was just the two of them, and she knew the right thing to do would be to break whatever this spell was that was building between the two of them. For the first time in her life, she didn’t want to do the right thing. She didn’t want to be the nice girl, the good girl. For once, she wanted to do what she wanted to do. And she wanted to do it with Colby. Dance in formal wear at this ridiculously theatrical party. Walk on the beach in the moonlight. Watch a romantic movie and share a bowl of popcorn and not make a concerted effort to keep her hand from brushing against his. Wake up in his arms. Madalyn swallowed. “Dance with me,” he said, holding out his hand. The band struck up a waltz. Of course, Livy’s first dance would be a waltz. From the corner of her eye, she watched Carlton sweep her sister onto the dance floor, the two of them flowing together as if they were part of the song. She could do that. Just let herself get swept away for a little bit. Oh, this was going down the wrong path, and it was going fast. She should get things back under control. Back where Colby was her friend, and she understood that things between them would only ever be friend-related. “Forget Henry and the paparazzi and my getting drunk the other night,” he said. She needed to remind Colby they were friends, just friends. Remind him of the image rehab plans. Remind herself that this was only going to end in either broken-hearted suffering or the loss of a friendship. Madalyn ignored all the shoulds and reminders circling her mind, and put her hand in Colby’s. “Okay.” She wanted to dance with him, too. Maybe take things farther than a dance. Maybe, for the first time since they were kids, see if the undercurrents between them could be more than undercurrents. Colby swept her onto the dance floor, which flowed around and over the pool area. Groomsmen and bridesmaids had joined Livy and Carlton, along with other party guests, on the dance floor. Madalyn caught a few flashes as different people took pictures, but she didn’t worry about what they were shooting or why. It was all she could do to keep her feet on the ground and to keep her heart from beating out of her chest. Colby’s hand was warm at the small of her back. His thumb brushed bare skin at her waist, and Madalyn couldn’t hold back a shiver at his touch. His other hand was firm on hers, and he waltzed as effortlessly as he chased down running backs on the football field. She caught scents of ocean and something else that was inherently Colby. Something she usually worked hard at not allowing herself to notice. Madalyn let herself be swept away. By the music, by Colby. She wasn’t completely sure. More than that, she didn’t care. Just for tonight, when things were already surreal from Livy’s elaborate staging, maybe it would be okay to lose herself in him. Enjoy the feel of her skin against his, the way his hand seemed to burn, in the best possible way, where it touched her lower back. Once upon a time, Kristina Knight spent her days running from car crash to fire to meetings with local police - no, she wasn't a troublemaker, she was a journalist. Her career took her all over the United States, writing about everything from a serial killer's capture to the National Finals Rodeo. Along the way she found her very own Knight in Shining Cowboy Boots and an abiding love for romance novels. And just like the characters from her favorite books, she's living her own happily ever after. Kristina writes sassy contemporary romance novels; her books have appeared on Kindle Best Seller Lists. She loves hearing from readers, so drop her a line!